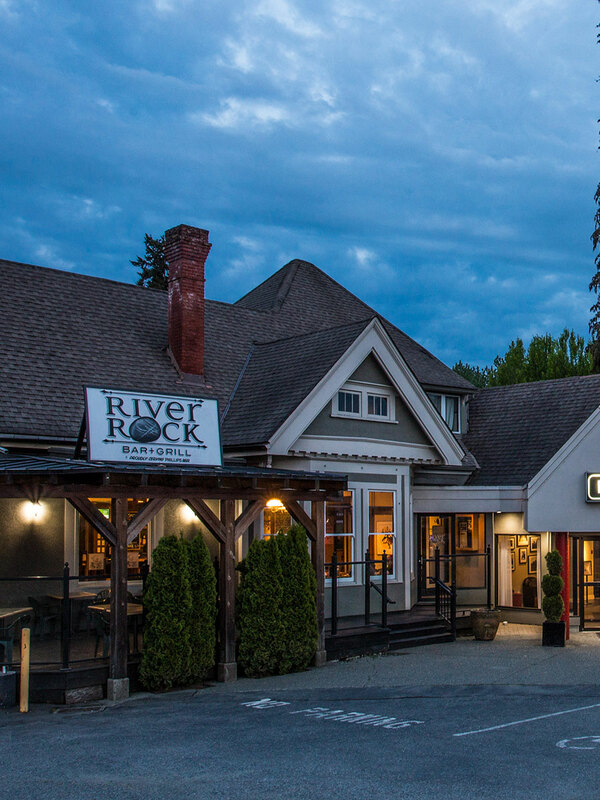 Ramada Duncan Blog: Explore Southern Vancouver Island! If you’re staying in Duncan but you’re looking for somewhere to adventure too that isn’t too far away, we have the perfect day trip destinations for you! All of these places are located within 40 minutes of Duncan and have lots to offer! They have everything from great food, beautiful sights to awesome local shops and galleries. Adventure is out there! Ladysmith, nicknamed “Heritage by the Sea”, is one of the prettiest towns on southern Vancouver Island. With many of its heritage buildings still in place, it has lots of beautiful sights to offer from the architecture, beautiful beaches to nature hikes. While you’re exploring Ladysmith, you’ll have to check out the historic 1st Avenue, which was recently voted for “Best street in Canada”. It has lots of great shops, boutiques and restaurants that are all locally owned and operated. Transfer Beach is also a must see when in Ladysmith, it’s a perfect place to enjoy with your family! In the summer you’ll find food trucks, a spray park and Sealegs Kayaking/Paddle boarding rental shop right on the beach. 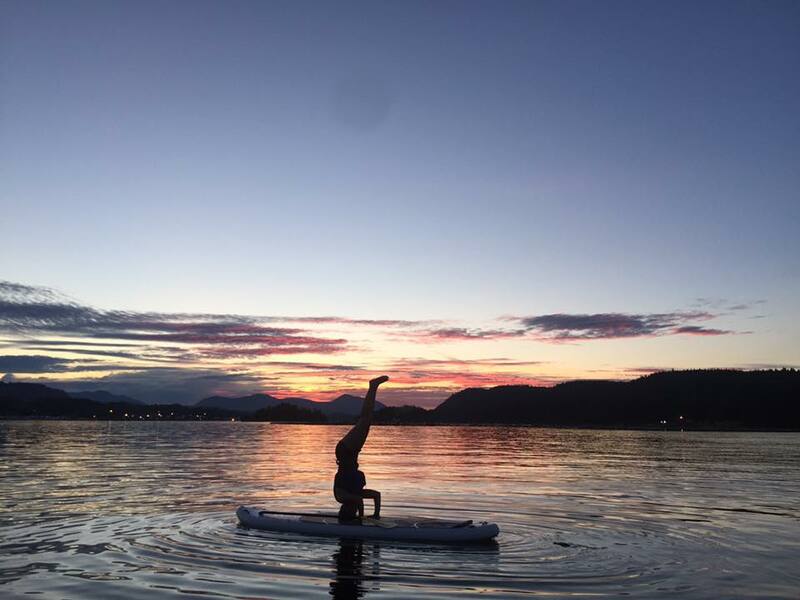 Paddle boarding in the harbor is an awesome way to see Ladysmith from a different perspective, you won’t be disappointed! Chemainus is a little town located on the eastern coast of Vancouver Island. 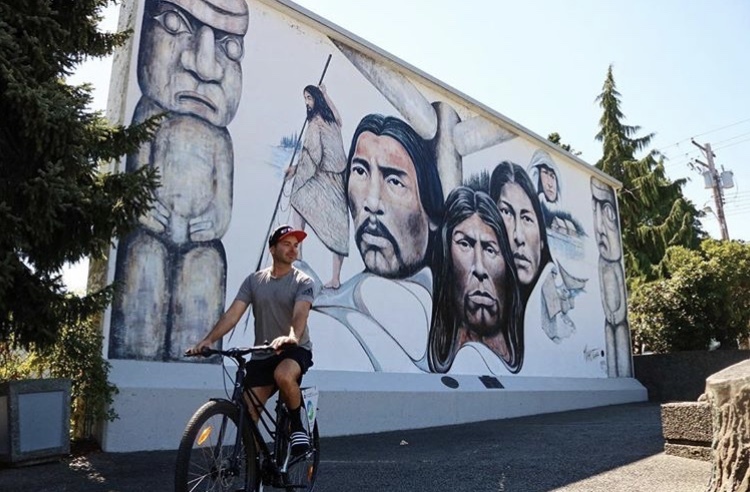 Chemainus is known worldwide for their 39 outdoor murals displayed throughout the town. You can find these beautiful murals by following the yellow foot print trail painted onto the sidewalks. They’ll lead you on a walking tour through the town. Along the way you’ll see several quaint little shops and many places to get food or yummy treats along the way. Willow Street Café, located in the center of town, is my favorite place to grab some food or coffee, sit outside on the deck and people watch on a sunny day. The City of Nanaimo is a beach lover’s paradise. It has one of the longest shorelines in Canada so you’ll have a beautiful ocean view around almost every corner. In Nanaimo, you can go from the city center to wilderness in just a few minutes, which means you’re never too far away from a new adventure or an awesome hike. Nanaimo is one of my favorite places to go for hiking. There are so many different hikes ranging from easy to challenging, and different scenic hikes from ocean views, to waterfalls hidden in the forest. One of my favorites is Ammonite Falls, shown in the photo above. It’s a moderate hike with good directions along the way that leads to a beautiful waterfall. This hike is best done in the fall-spring time so that there is lots of water in the river! 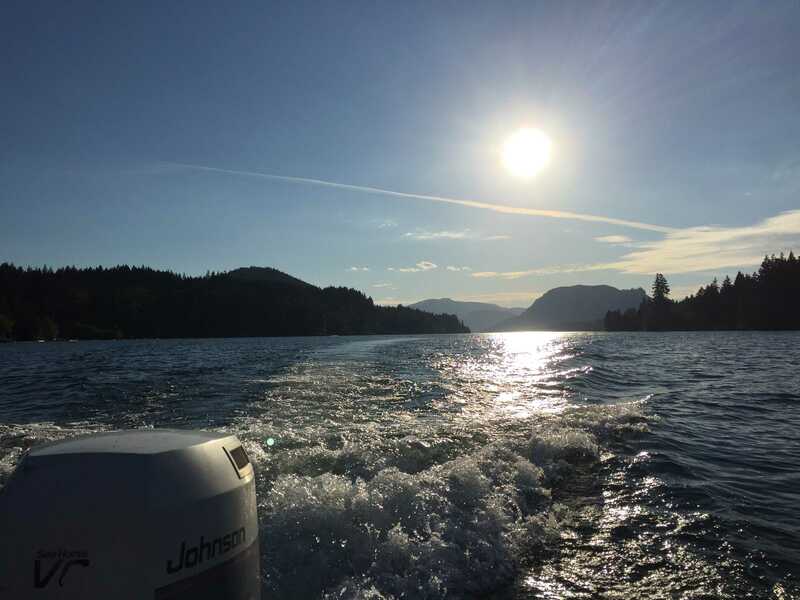 Lake Cowichan is the perfect place to go for a summer day. Only a 25 minute drive away, it’s the best place to go to spend time sun bathing, swimming, or boating on the lake. 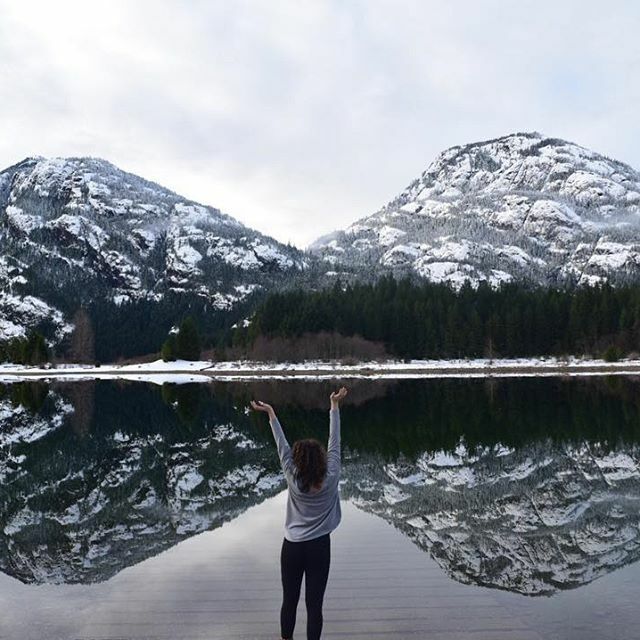 Lake Cowichan is right in the middle of the Pacific Northwest Temperate Rainforest, which means you’re surrounded by beautiful nature in all directions. You’ll be getting an amazing Vancouver Island feel for sure! Another awesome way to experience the beauty of Lake Cowichan is by floating down the river on an inner tube or a pool float! Check out the Tube Shack for rentals, directions and shuttle service options. Victoria is a must see when visiting Vancouver Island, especially since It’s our provinces capitol city. To get to Victoria, it’ll take you 40 minutes from the Duncan Ramada. The drive alone is well worth the trip! You’ll drive up and over the Malahat, and through Goldstream Provincial Park, both of which are great places to hop out of the car, see beautiful scenery and take some photos. 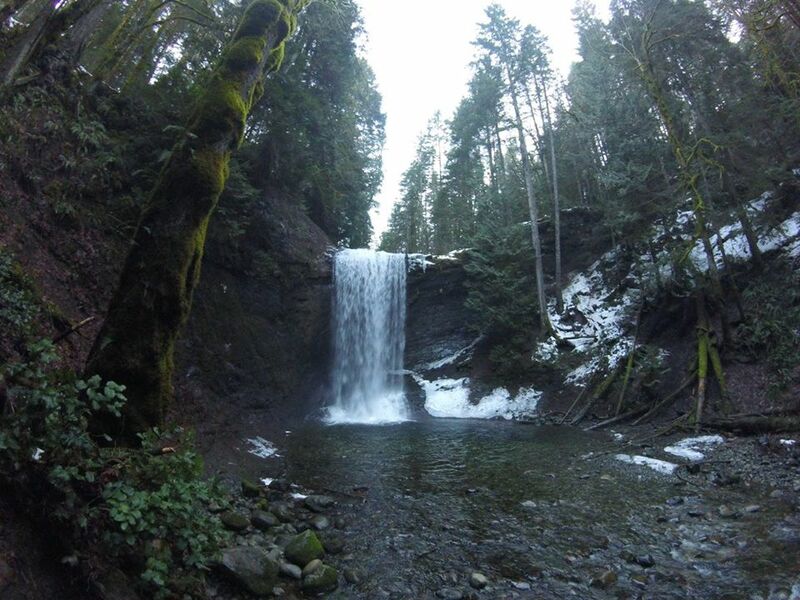 If you’re feeling up for a hike, check out Goldstream Trestle for an incredible view! There is so much to see and do, your options are endless. 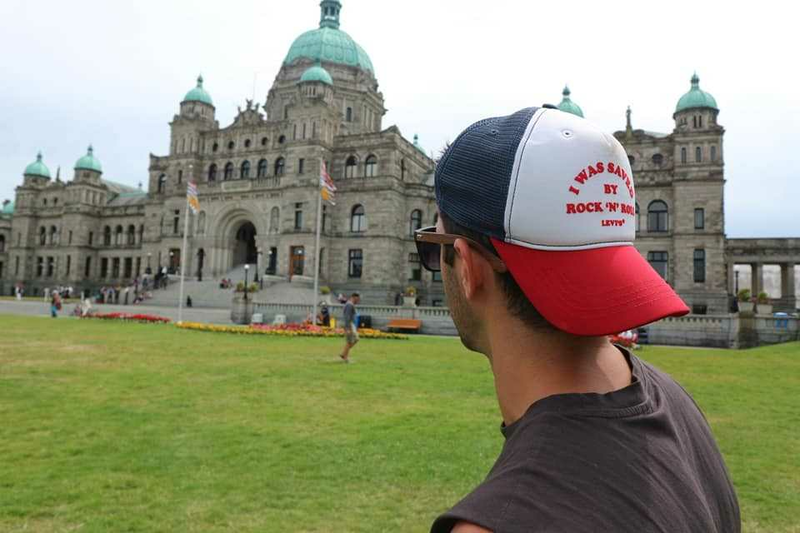 For the ultimate tourist day in Victoria, head to the down town district, where you’ll find the BC Parliament Buildings, whale watching tours, sea planes, bike tours and tons of shops, pubs and restaurants. We hope you enjoy all of these Vancouver Island destinations while making some everlasting memories. After your full day of adventuring join us back at the Ramada Duncan for a great night’s sleep.